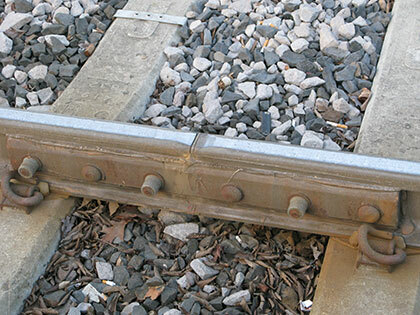 Rail joint, also called railway fish plate, rail joint bar or splice bar, is a metal bar bolted to the ends of two rails to connect them together in a rail track. Two pieces of rail joint bars are usually used together as a pair. Each rail joint bar has one side configured to the rail web side. Mechanical fasteners mount the joint bars to the web sides. 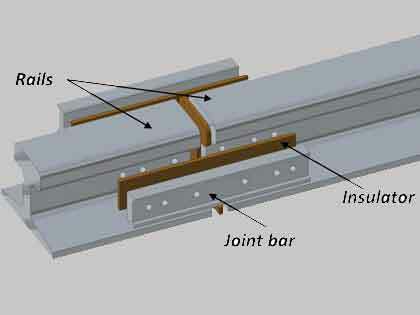 The pairs of keys in the webs and the joint bars transfer railway loads through the joint and substantially strengthen the rail joint assembly. As a professional manufacturer and supplier of rail fasteners, AGICO supplies both standard and non-standard (customized) rail joints for you, such as: common rail joints, insulated splice joint, bulged railway fish plate, compromised rail joint bar, and glued insulated fish plates, etc. 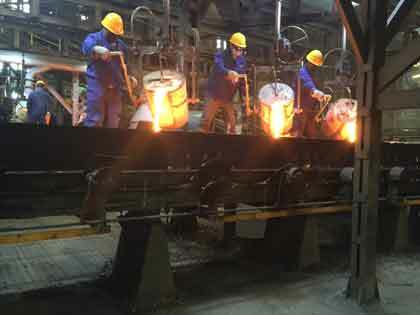 The common types, international standards of railway fish plates are also supplied, such as: AREMA standard, African and South American standards (mainly used in Brazil and Peru), DIN, UIC, BS and GB standards, etc. 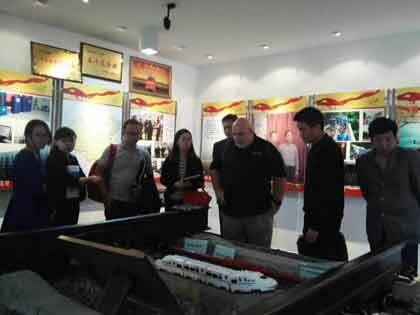 AGICO has over 20 kinds of international standard moulds of railway fish plate available. 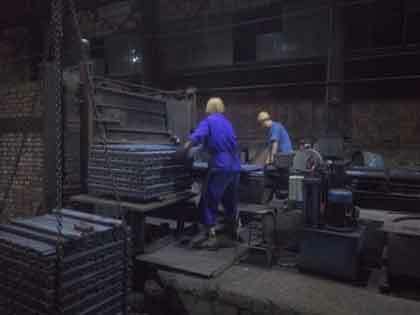 With these ready-made moulds, the production time of railway fishplate largely reduces. Moreover, if you have some special demands for splice bar, you can send us your drawing design, and we will return you samples of your desired rail joint bar. The steel used for manufacturing rail joint bars comply with all the requirements of each standard in different countries. Each railway splice bar can be customized and branded with figures denoting the mass per meter of rails and to indicate the manufacturer and the date of manufacture. 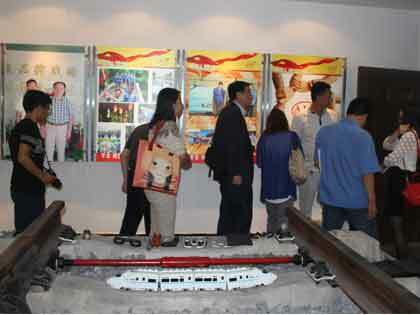 The letters and figures will be rolled or forged on the outside surface of rail joint. This is totally depends on customer’s requirements. The chemical composition is determined by cast analysis. The holes for installing fish bolts shall be either drilled or punched, and shall be to the centers and dimensions of the drawing designs offered by customers or made by us after negotiating with customers, subject to the tolerances. The finished rail joints shall have no defects detrimental to their end use. Deformation conforming to the tolerance limits is allowed. For the tensile testing, samples should be selected from any two railway fish plates or joint bars representative of each heat of steel. AGICO supplies other qualified rail fasteners to match all the rail splice bars offered. 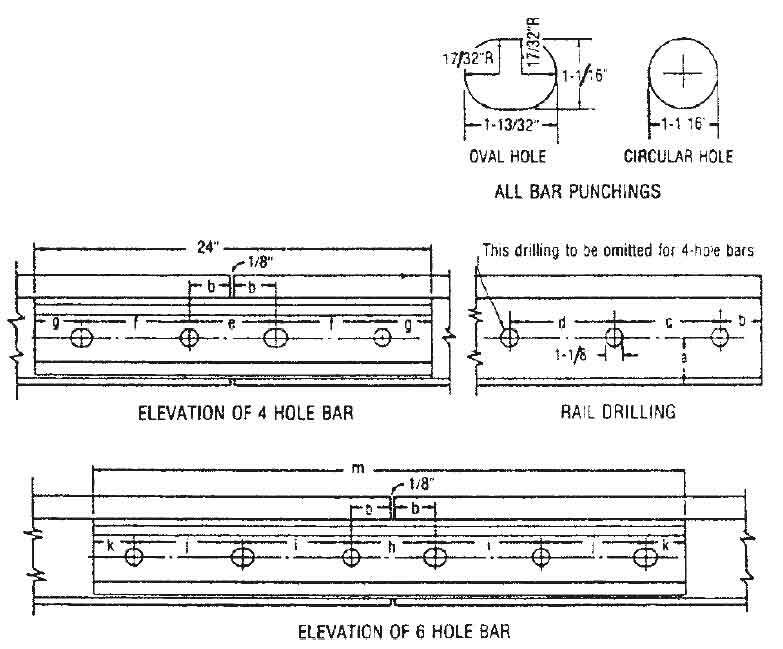 The following table is the Recommended Rail Drillings, Bar Punchings and Track Bolts for 115 RE, 119 RE, 132 RE, 133 RE, 136 RE, 140 RE and 141 RE Rails and Joint Bars. 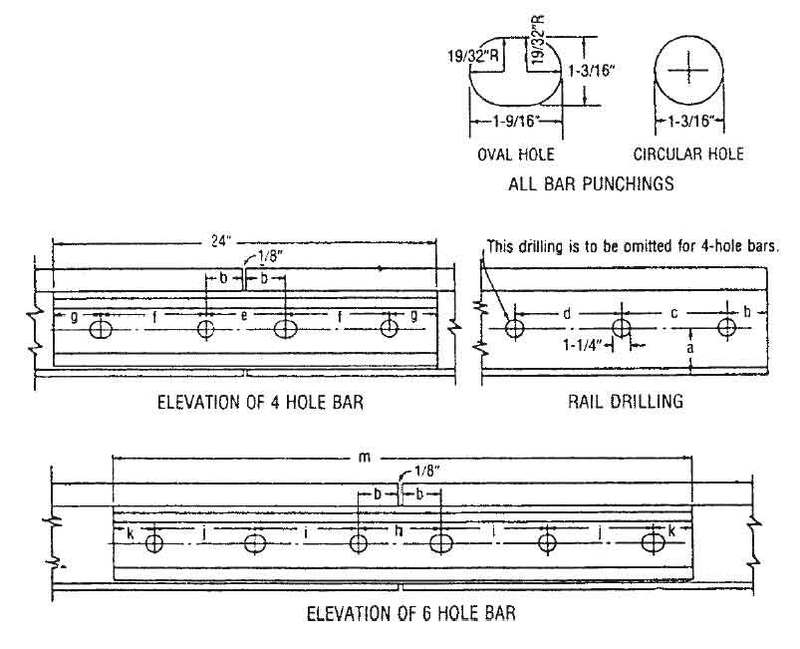 Note 1: This drilling to be omitted for 4-hole bars.